Banks and Financial Discrimination: What Can Be Learnt from the Spanish Experience? 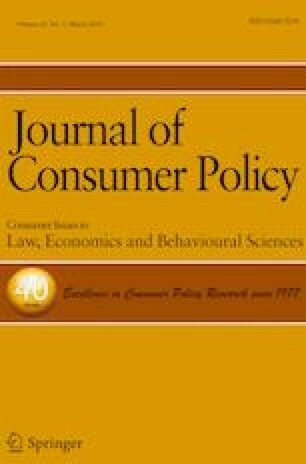 This paper analyses the phenomenon of financial discrimination that has been identified in many developed countries in the aftermath of the financial crisis. We would consider the process of worsening quality in the provision of banking products and services as part of the increasing problem of financial exclusion, which should consider not only physical access to branches but also the difficulties of using banking services and products. Our primary concern is focused on the collective of vulnerable customers, so we have carried out an analysis at a micro-scale (urban districts and municipalities) to identify the main determinants of financial discrimination of territories according to their socioeconomic profile. This study constitutes a first attempt to analyse financial discrimination in the provision of banking products and services at an urban micro-scale. We have considered the cases of Madrid and Barcelona in Spain as good references, as these large urban territories have a high level of social inequality. The methodology applied is quantile regressions, a useful technique for analysing the “extreme” nature of the phenomenon of financial discrimination. Our results confirm that the more overloaded branches are located in districts characterized by a lower socioeconomic profile, indicating a banking industry trend towards “low-cost” retail banking to serve the group of less profitable, more vulnerable customers. Some recommendations are outlined for policymakers in line with the aims and scope of the Payment Accounts Directive of the European Union. We would like to convey special thanks to Pr. Christophe Muller, who provided us with the code for the test of endogeneity in conditional quantiles. We also thank the two anonymous referees for their helpful comments and suggestions on the work. This work was supported by the Fundación de las Cajas de Ahorro (FUNCAS) (no grant number). We acknowledge the support of PhD. Marien Aguilera, main researcher in the National R + D Project “The Court of Justice of the European Union: its impact on the normative configuration of the Spanish civil process and on the protection of fundamental rights” (Ref. DER 2016-75567-R), funded by the Ministry of Economy and Competitiveness. Ardic O. P., Heimann M. & Mylenko N. (2011). Access to financial services and the financial inclusion agenda around the world: a cross-country analysis with a new data set (World Bank Policy Research Working Paper No. 5537, January). Available at: https://ssrn.com/abstract=1747440. Accessed 15 Feb 2018. Claessens, S., Coleman, N., & Donnelly, M. (2017). “Low-for-long” interest rates and banks’ interest margins and profitability: cross-country evidence. Journal of Financial Intermediation. https://doi.org/10.1016/j.jfi.2017.05.004. Lanzillotti, R., & Saving, T. (1969). State branching restrictions and the availability of branching services: comment. Journal of Money, Credit and Banking, 1(4), 778–788. https://doi.org/10.2307/1991451. Martin-Oliver, J. (2018). Financial exclusion and branch closures in Spain after the Great Recession. Regional Studies. https://doi.org/10.1080/00343404.2018.1462485.